Union County consists of 21 distinct municipalities that are in close proximity to NYC and offer easy access to Newark Liberty International Airport. 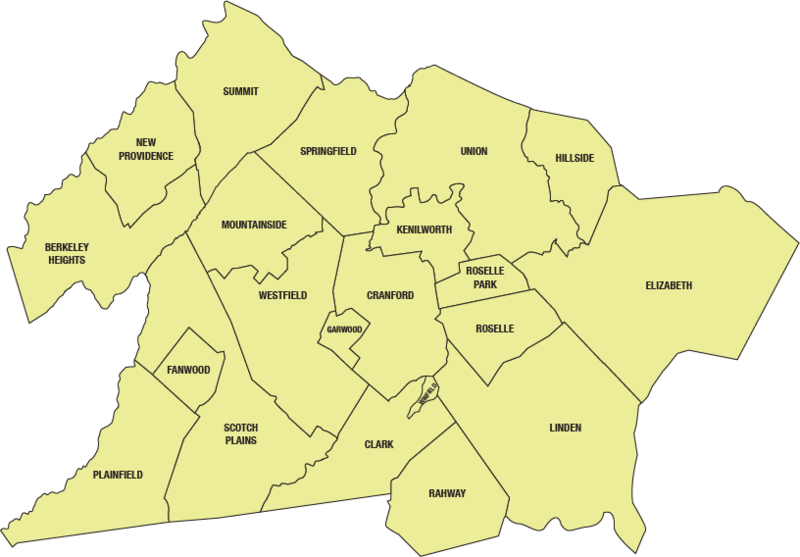 With its great quality of life, excellent public schools, extensive transportation network, numerous parks and open spaces, Union County is a great place to live and work. We strive to keep the municipal profile data as current as possible. A majority of the demographic information is obtained from the U.S. Census American Community Survey (ACS) – 5 Year Estimates. The updated ACS information is typically released in the month of December for the preceding year (Year 2016 estimates were released December 7, 2017). For municipalities with populations over 25,000, the County utilizes the US Department of Labor Bureau of Labor Statistics unemployment information. This is the most current real time unemployment data. We will update the profiles as new data becomes available. For municipalities with populations over 25,000, the unemployment information from the US Department of Labor Bureau of Labor Statistics will be updated bimonthly. For questions/corrections please contact Philip Kandl at 908-527-4273 or pkandl@ucnj.org.